This is Season Four, Episode Eight. It’s our final episode in our Summer series about underearning, and yet, it’s the most important topic of all – getting the support you need to succeed. 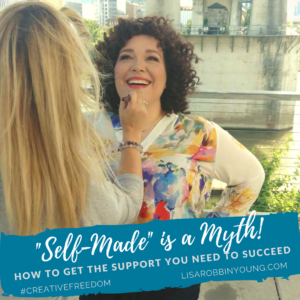 I bust the “self-made” myth bubble in this episode, because regardless of whether we start at the bottom or now, we all need people to help make our dreams come true. Support is critical. Whether that’s your personal environment, or surrounding yourself with the right kind of people, help is a non-negotiable when you’re building your Noble Empire. If you need more structure to get the support you need, or more practice in asking for help, join us in A-Club. You’ll get a lot out of our tight-knit community of folks. We’re all in there, working toward owning our dreams, one step at a time. 12:00 – The 4 kinds of people you need to support you on your journey. This week, you can download a support matrix that will help you get clarity on the gaps in your support network. Not a member? It’s free! Click here to join our Rising Tide to get email updates, transcripts, and bonus downloadables only available to members. 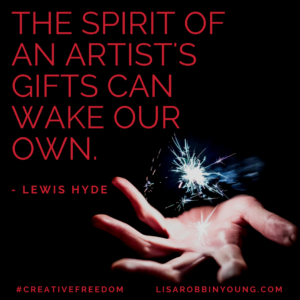 Creative Freedom Live – 6 spots left! 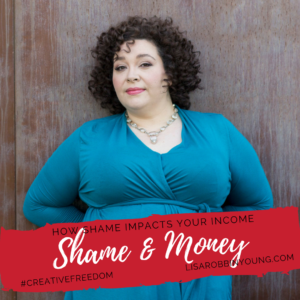 This is one of my most dangerous episodes, because I’m talking about what Dr. Brene Brown calls “Unwanted Identities” and how the shame of unwanted identities can impact your ability to charge higher rates for your work. Disney’s “Moana” also gives us a glimpse at how far you can go if you stay focused on what’s most important to you (regardless of naysayers). This episode contains excerpts from my program, Overcoming Underearning for Creative Entrepreneurs. If you need additional support unpacking your stories of shame around your rates, consider joining us! What Are Ways That You’ve Faced Down Shame? Overcoming Underearning – my program to help you build shame resilience and create empowering stories to help you charge more for your work. This is Season Four, Episode Seven. This is one of my most dangerous episodes, because I’m talking about shame. 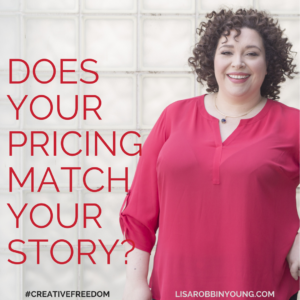 I’m talking about what Dr. Brene Brown calls “Unwanted Identities” and how they can impact your ability to charge higher rates for your work. If you find yourself saying “I’m not (famous person), I could never charge THAT kind of money!” then this episode is for you. Okay, so it’s time to raise your rates, but how? Welcome to Episode 6 of the season! It’s the logical follow-up to last week’s episode sharing 11 signs that you need to charge more. So now that you’re clear you need to charge more, here are 7 ways to make it happen without feeling icky about it. Can you think of other ways to raise your rates? Creative Freedom – My book! Overcoming Underearning For Creative Entrepreneurs – My new program to help you clear the old stories & raise your rates with ease. Students in the program are already reporting results!